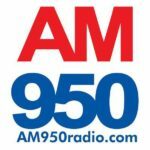 Erin recently appeared on the radio show, “Minding Your Health” on AM 950 to talk about parenting during the divorce process. She talks with the host, Roberta Fernandez, and family law attorney Anne Byrne about how parents can keep their children’s interests front and center during and after divorce. The trio also discusses how parents can avoid common parenting mistakes when experiencing the stress and chaos of divorce. You can listen to the program in full here.